Canon Andy Chisholm has been the Rector of St. James since March of 2015. 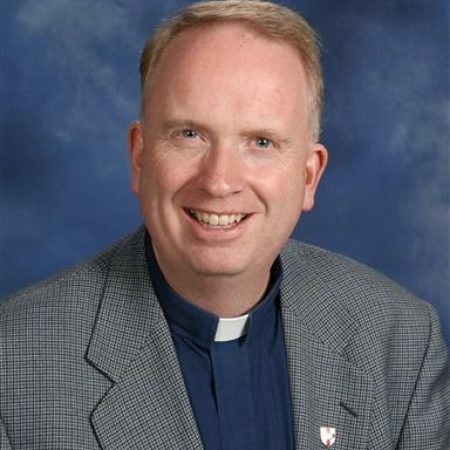 He was previously the Rector of the Anglican Churches of Grenville North (Merrickville-Kemptville) and Archdeacon of the St. Lawrence. He was also the Rector of the Parish of Bath with Amherst Island and before that, Assistant Curate at Christ Church in Belleville. Andy is co-chair of the Diocese of Ontario Synod Planning and Agenda Committee sits on the Diocesan Communications Committee. He has served recently on the executives of the Provincial Synod, and the Eastern Ontario District of the Canadian Bible Society. Andy grew up in Kingston and St. James. He has a degree in Political Studies from Queens and a Masters of Divinity from the Toronto School of Theology at the University of Toronto. He met his wife, the Rev. Lisa Chisholm-Smith at Queens in a Bible Study group led by Doug Caldwell of Queens Christian Fellowship. Andy is passionate about his faith in the risen Jesus Christ and is delighted to be sharing ministry with the many people of St. James as they strive for a vibrant, inclusive, and outward looking church.